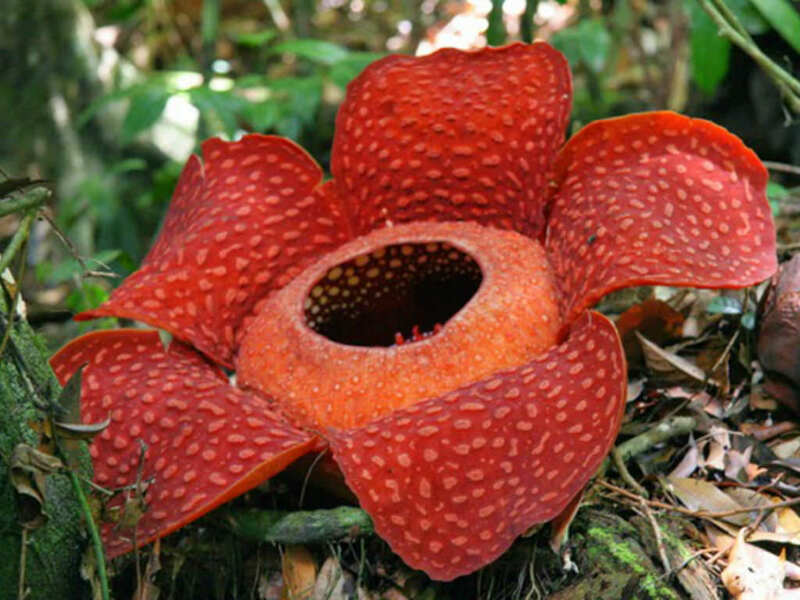 Rafflesia arnoldii is a species of flowering plant noted for producing the largest individual flower on earth. 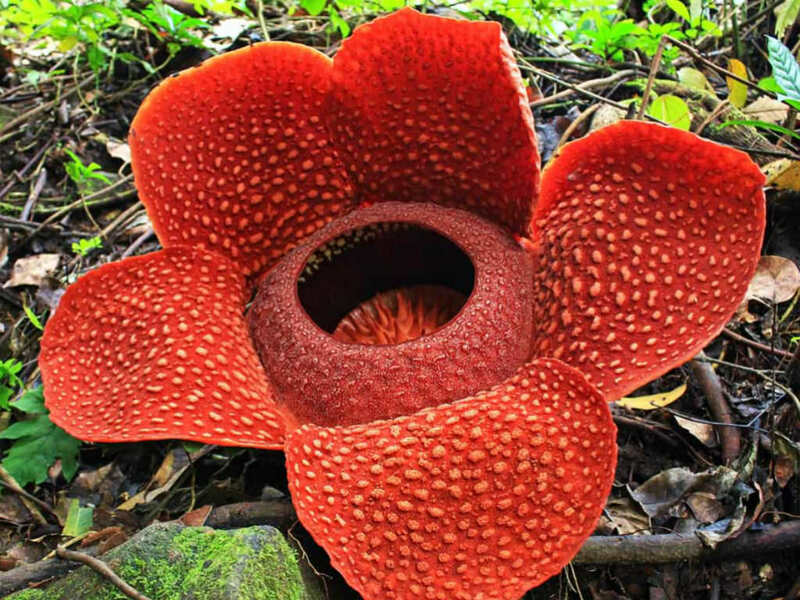 The flower grows up to 3.3 feet (1 m) in diameter. Flowers emerge from very large, cabbage-like, maroon or magenta buds up to 12 inches (30 cm) wide. Despite being plants, they do not photosynthesize, have no roots, have no leaves, and don’t at all seem like plants. It can only be seen outside the host plant when it is ready to reproduce. 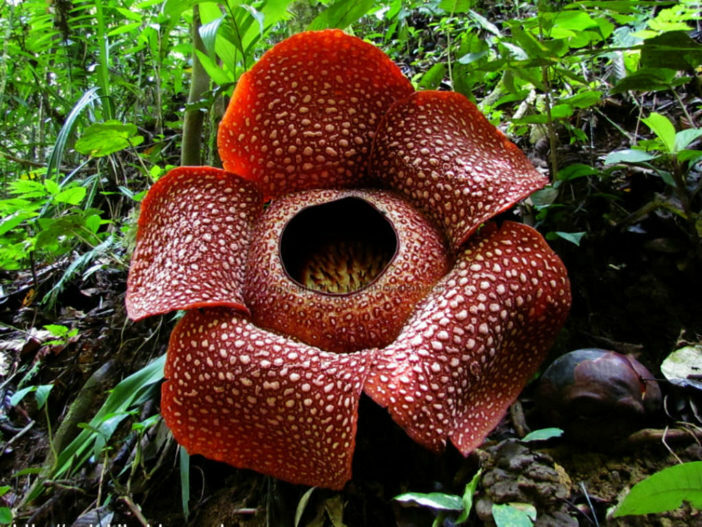 Perhaps the only part that is identifiable as distinctly plant-like are the flowers, though even these are unusual since they attain massive proportions, have a reddish-brown coloration, and stink of rotting flesh. 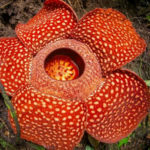 This scent attracts insects such as flies which then pollinate the rare plant. 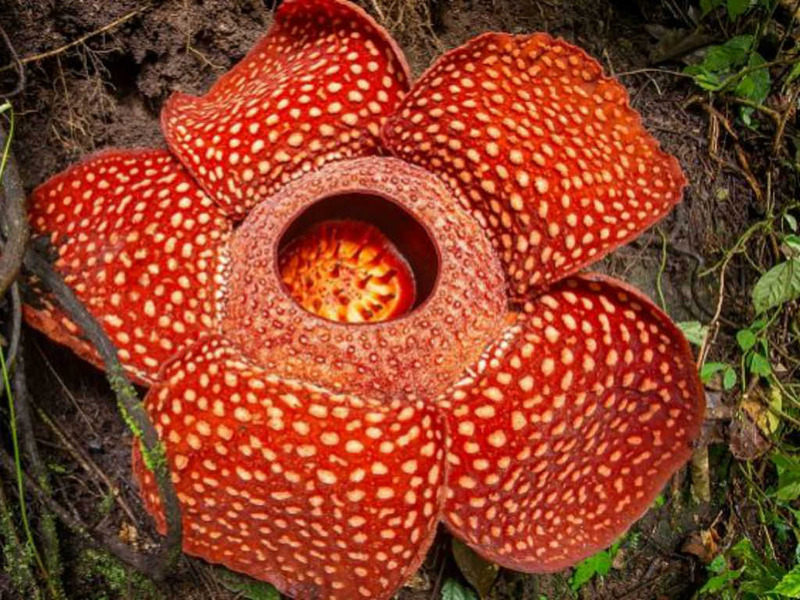 The Rafflesia is in serious danger of extinction as the rain forest is burned and cleared for crop production and urban growth. The buds are also harvested and sold because locals believe they have medicinal properties if consumed. The plant has never been cultivated in captivity and it only grows on the tetrastigma vine, so its survival is seriously threatened. Pollination is rare because most locations contain only male flowers or female flowers. In order for pollination to occur, the fly must land on the male flower and then take the pollen to the female flower. If pollination occurs, the flower produces a globular, smooth-skinned fruit measuring up to 5 inches (13 cm) in diameter. It contains thousands of seeds. 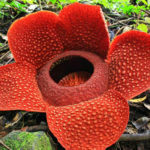 Birds and squirrels enjoy eating the fruit and help to spread the Rafflesia seeds through their eliminations… – See more at: Rafflesia: The World’s Largest Bloom. 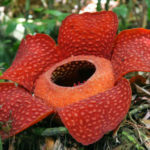 It is endemic to the rainforests of Sumatra and possibly Borneo.